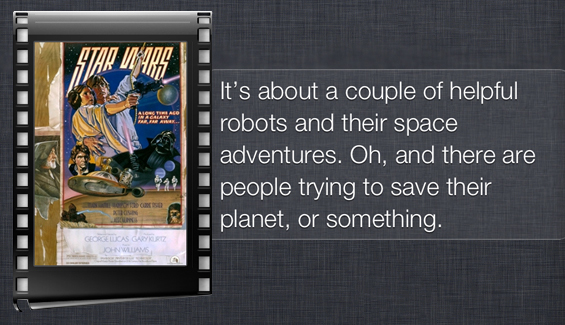 Siri has been ‘upgraded’ to now give her opinions on movies. She has quite a bit to say for quite a number of classic movies. Is it useful? Probably not, but it’s something fun to mess around when you are bored. Just like Google Now, there are some responses inserted that aren’t very useful (like asking it to do a barrel roll). 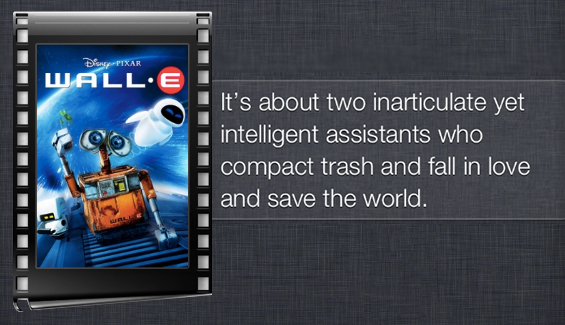 It is just a fun Easter Egg for movie fans and geeks, but also a step in the right direction for a smarter Siri. I like how Siri pulls out Rotten Tomato reviews for movies at the same time and also provides a link to the movie trailer. Now, that could be useful! 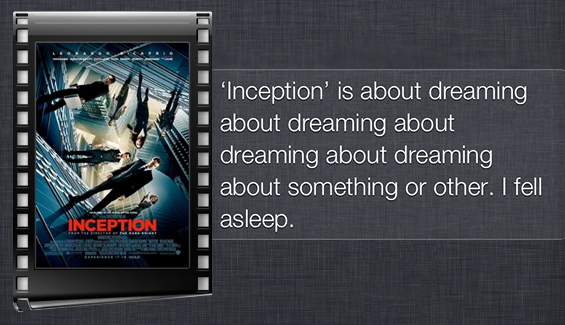 Go ahead, Ask Siri: What is “movie name” about? or What is the movie “movie name” about? My favourite movie star wars is in, although only the first episode, “A New Hope”. Don’t bother asking it about Jar Jar Binks or the Phantom Menace, Siri is too smart not to bother with the movie. 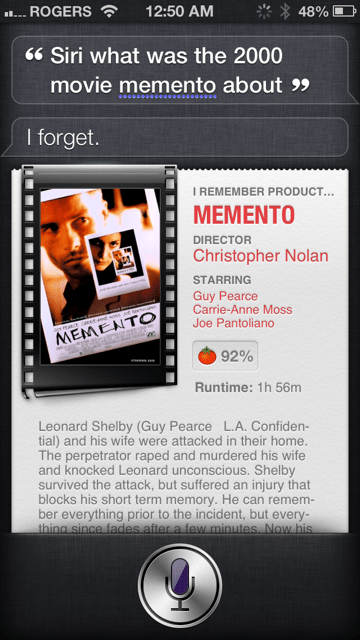 The movie memento is a classic. Just a short one liner to sum up the movie, and accurately as well. So far, Siri has a tendency to review or offer her two-cents worth for movies that concern robots or more specifically, artificial intelligence. And why are we not surprised, it takes one A.I. to understand another.